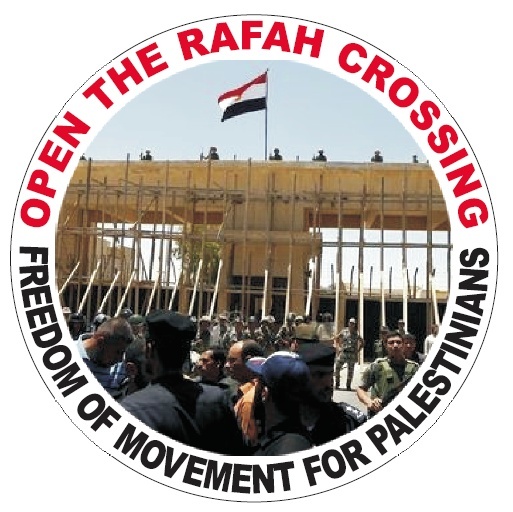 Jews sans frontieres: Call to Egypt: Open the Rafah Crossing! A deadly siege on 1.6 million people living in Gaza has been imposed by Israel since 2006. It was partially and momentarily lifted when the revolutionary Egyptian movement ousted Hosni Mubarak and made clear that emancipation and the freedom of Palestine were joint and connected goals. Yet today, and daily, approximately 35,000 people wait to cross the border. Meanwhile, Israeli air strikes last week on ‘the largest open air prison on earth’ killed at least 15 people, including 2 children, and injured at least 50 more. The denial of freedom of movement for Palestinian people is also an offense to the immense ongoing struggles of the Egyptian people in pursuit of human rights and dignity. Join the growing calls from Egypt for: recalling the Egyptian ambassador from Tel Aviv, expelling the Israeli ambassador from Egypt, opening the Rafah Crossing unconditionally, halting all moves for normalization with Israel and halting trade of natural gas between the two countries. On Friday, August 26, South Africans will deliver the petition to their Egyptian embassy. OPEN THE RAFAH CROSSING PERMANENTLY AND UNCONDITIONALLY. 1. Organize a delegation to deliver the petition to your Egyptian embassy, consulate or representative office on a Friday. 2. Contact your Egyptian embassy. 3. Sign and circulate the petition. 4. "Like" and "Share" the Facebook page with your friends and organizations. Post your activities on the campaign Facebook page.